- Five Myles hosts the first of three events in their "Stoop Series," outside in front of their space on St. Johns, tonight at 6:30. - The Crown Heights Assembly has won the notice of the press for its petition demanding mandatory inclusionary zoning in Crown Heights West. DNAInfo covered their efforts yesterday, and the New York Observer picked up the link later in the evening. - Brownstoner reports that the Housing Partnership, which helps coordinate and facilitate the construction of affordable housing, has purchased lots in Crown Heights (to the east of the rezoning area in question). - The question of affordable housing and developer influence has entered our 35th Council race in a big way, as reported by Prospect Heights Patch on Monday, with Laurie Cumbo winning the endorsement of real-estate/developer/insurance PAC "Jobs for New York," who plan to spend about $10 million to influence council elections this fall. Ms. Cumbo has responded to the outcry that followed, including criticism from others in the race, by noting in an email to her mailing list that she has participated in NYC campaign finance reform and that, as Jobs for NY's spending "erodes the goals that program was intended to advance," she has "officially and respectfully asked Jobs for NY to immediately discontinue spending any independent funds in support of my campaign." Updates about some of the zoning changes and pending construction in the neighborhood. We hope you'll join us! Either way - please help us spread the word and let us know if you want to stay connected to this group by emailing housingcrownheights@gmail.com to get on the update list. The Crown Heights Assembly just released a petition for the New York City Council to include guarantees for affordable housing and increase penalties for landlords harassing tenants in the Crown Heights West rezoning. You can learn more about it and sign on here. We will be hosting a screening of My Brooklyn next week Thursday, August 8 at 7p (location TBD!) Space will be limited so please RSVP via housingcrownheights@gmail.com. - Crown Heights Prospect Heights Food Allies are putting together a food map for the neighborhood and planning a Health Fair for September (they did one last September as well). If you're connected to a CSA/Farm Share, local garden or farmer's market, or emergency food supplier, let them know so Food Allies can put them on their map. Join the editorial staff of MadHat Press and MadHat Annual (formerly Mad Hatters' Review), along with some of our Maddest authors, for a night of poetry and prose! MadHat editors Marc Vincenz, Susan Lewis, Jonathan Penton and Jeff Davis will join MadHat Wild & Wyrd Chapbook Contest winner Lysette Simmons and MadHat contributors (and esteemed guest editors) Alexander Cigale and Dana Golin! Open mic to follow. The August edition of Another Round Storytelling is upon us! On Thursday, August 1st, we welcome featured storyteller Susan Kent, cohost of “Tell It: Brooklyn" and veteran of “The Moth" StorySLAM. Listen to her story "Baby Girl" on a recent edition of “The Moth" podcast. Another Round Storytelling is a monthly open mic series that takes place at LaunchPad (721 Franklin Ave.) in Crown Heights, Brooklyn, at 8:00 p.m. The show features five 10-minute open mic slots followed by a special guest, plus a free cocktail to fuel the storytelling fire. So bring your best tales of drunken disorder and toss your name into the cocktail shaker! The $5 suggested donation benefits LaunchPad, a nonprofit arts and performance space. Susan Kent is from a small town in South Georgia and currently lives in Park Slope, Brooklyn. She tells stories at events like “The Moth" StorySLAM, 826 NYC’s “Knight of Time" and "Tell It: Brooklyn," a storytelling series that she hosts with Victoria Scroggins. Her favorite drink is a bottle of Bud, because she’s classy. Join Rachel Horn as she arrives to Brooklyn by bicycle from San Francisco -- living on $4 a day, talking about sustainable approaches to menstruation, and giving away free menstrual cups along the way! Don't know about menstrual cups? Or don't know why we'd need to think about sustainability and menstruation? Join us for discussion, stories, and more! Your ticket includes food and 1 free drink. At the NYC Physics & Math Self-Learners, we basically work our way through graduate physics materials, and meet on the first Sunday afternoon of each month to discuss what we've learned and to answer one another's questions. The emphasis is on intuition rather than problem-solving methods, but we do both. - The folks behind Little Zelda, Wedge, and It Takes a Village are launching their fourth venture in the neighborhood, a bookstore called Hullabaloo (small spaces are their strong suit). You can view their Kickstarter, which is raising money not for the store itself but for an event series to take place inside once it's open, to learn more about it. The space they're renting, many will recall, once housed a short-lived but very-hotly-debated pawn shop. - Meanwhile, the megaproject in the old Studebaker service station and garage at 1000 Dean Street has confirmed that it will open October 1. The complete press release is copied below. - Finally, they've been open two weeks and are neither particularly large nor particularly small, but Nimba, the newest coffee shop in the neighborhood, has a lovely, unexpectedly large, cool, and high ceilinged space for sitting and caffeinating. New York, NY (July 29, 2013) –A joint venture of Brownstoner.com’s Jonathan Butler, BFC Partners and the Goldman Sachs Urban Investment Group announced today that office leasing has successfully begun at 1000 Dean Street, the newly-redeveloped, 140,000-square-foot commercial complex designed for artisans, creative companies, technology firms, not-for-profits, and artists in Crown Heights, Brooklyn. The four-story, former Studebaker Service Station building – designed by architect Annabel Selldorf – offers spaces varying from 500 rentable square feet to 32,000 rentable square feet. “As demand for affordable office space continues to ripple out beyond Brooklyn’s Tech Triangle, we are excited to be part of the exciting revitalization of the borough of Brooklyn,” said Joseph Ferrara, a partner with Don Capoccia and Brandon Baron at BFC Partners, 1000 Dean’s developer, along with Butler. Chris Havens of Aptsandlofts.com is the exclusive leasing agent for the building. Designed with the needs of today’s growing technology and creative companies in-mind, 1000 Dean merges office, production and collaborative spaces under one roof. On the ground floor, where East Williamsburg’s 3rd Ward is creating a food business incubator facility, two entrances serve both Dean and Bergen Streets. A 9,000-square-foot beer hall, coffee house and outdoor garden with varied food outlets, as well as a private room is being developed. Soon, this will be the largest and most comfortable gathering place in the Crown Heights neighborhood, serving tenants, as well as neighborhood residents, with meeting, eating and drinking space. The modern, fully-renovated property features open plan layouts with all new electrical, plumbing, HVAC, elevators and fiber optics. The building’s upper three floors will be utilized as creative office space, with units as small as 500 square feet and flexible lease terms varying from one to five years. Most rents range from $1,500 to $3,000 per month. Located in the affordable, emerging and historic Crown Heights neighborhood, 1000 Dean is surrounded by a low-rise community of houses and small buildings. Crown Heights North boasts a new generation of restaurants, bars and quick fine food, supported by hardware, cleaning and child care services, with reasonable residential rents. Over three dozen new businesses have opened in the last few years, transforming the retail environment. Brownstoner is the leading site about Brooklyn real estate and renovation, and all the tangential topics that impact life inside and outside the home in Brooklyn; the site also boasts a Marketplace with over 3,000 real estate listings and 250 local businesses. Launched in October 2004 by Jonathan Butler, Brownstoner currently has over 200,000 unique visitors and almost two million page views per month. The site has been featured numerous times in publications like The New York Times, The Wall Street Journal, The New Yorker and New York Magazine and was honored in 2008 by the Historic Districts Council for its role in preservation. Since 2012, Brownstoner has also offered coverage and listings of the Upstate New York market and in May 2013 Brownstoner Queens was launched to offer comprehensive coverage of the Queens real estate market and built environment. The company is headquartered in Dumbo, Brooklyn. For the past 25 years, Brooklyn-based BFC Partners has been responsible for the acquisition, development, financing, construction, marketing and management of many of New York City’s finest residential, office and mixed-use projects. Since the firm’s inception in the 1985, BFC and its principals have completed over $1 billion in development projects, encompassing the construction of more than 5,000 residential units and millions of square feet of mixed-use development. 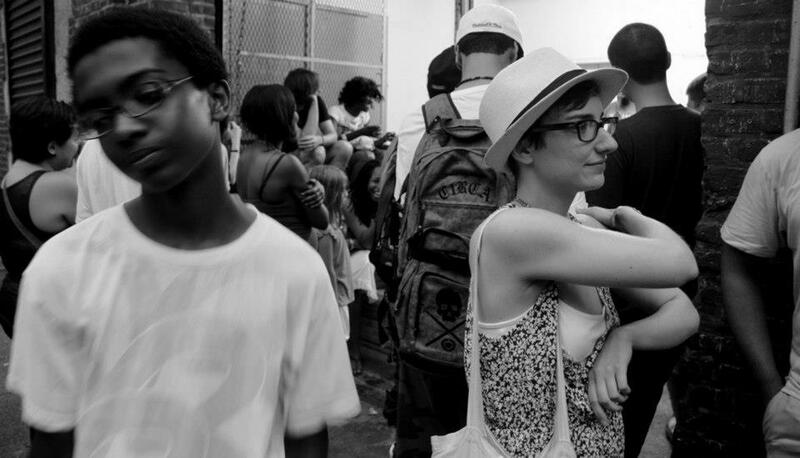 As a market leader, BFC Partners excels in finding creative solutions to unique and challenging projects, having been at forefront of the revitalization of many neighborhoods, including the East Village, Harlem, Williamsburg and Downtown Brooklyn. BFC acts as the exclusive general contractor for all of its projects which allows complete control of the construction process, enabling the delivery of each building on-time and within budget. From conception of an idea through long-term property ownership, BFC maintains an active role in all of its properties. Established in 2001, the Urban Investment Group deploys the firm's capital by making investments and loans that benefit urban communities. Through its comprehensive community development platform, UIG is a catalyst in the revitalization of underserved neighborhoods. UIG has committed more than $2.8 billion, facilitating the creation and preservation of approximately 13,200 housing units - the majority of which are affordable to low, moderate and middle-income families - as well as nearly 1,300,000 square feet of community facility and more than 1,900,000 square feet of commercial and retail space. aptsandlofts.com was founded in October 2002 with the goal of approaching marketing campaigns in a completely creative way (creating trends, rather than following trends) and embracing the very best, honest and approachable Real Estate Brokers. Today,aptsandlofts.com is a mid-sized company that fosters an intimate work environment (as you may characteristically find in small local brokerage companies), while boasting a sophisticated roster of exclusive listings and strong, working relationships with influential NYC developers (as you may characteristically find in large, corporate Manhattan-based firms). Our day-to-day activities are centered on the core principles of hard work, honesty, and professionalism. We strive to be a leader in Real Estate Marketing and garner respect from industry peers, in the areas of market presence, market knowledge, community activism, and customer service. In addition to the "Hipsters for de Blasio" event below, there are lots of ways to get involved in the neighborhood this weekend. - As noted on the flyer above, SOS Crown Heights hosts a "March with 100 Men" tomorrow to end violence in Crown Heights. Complete info above. - City Council candidates are also out and about this weekend. You can catch Ede Fox tonight at JACK just across Atlantic in Clinton Hill from 6-8pm, and Laurie Cumbo tomorrow at her office on Lincoln Place between Franklin and Classon from 2-4pm. These races matter too - as the New York Times reported back in May, NYC's developers are entering into these races in a big, targeted way after Citizen's United, and the issues we've been discussing on the threads below - development and gentrification - will loom large in these campaigns. 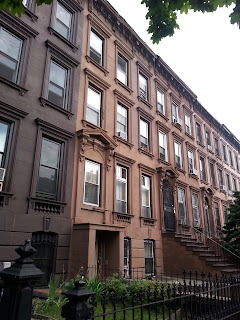 The Crown Heights Assembly just released a petition for the New York City Council to include guarantees for affordable housing and increase penalties for landlords harassing tenants in the Crown Heights West rezoning. Despite the drastic increase in rent in the Crown Heights neighborhood, the proposed rezoning for Crown Heights West offers no guarantees that new housing will be affordable to existing residents. The rezoning only includes a voluntary incentive, called Inclusionary Zoning, for developers to build some affordable units within market-rate developments. This incentive has a track record in NYC of resulting in few affordable units, and a vast array of luxury housing. • Existing housing and retail space could be demolished. • Tenants could face increased harassment to leave their apartments. 1. Adopt Mandatory Inclusionary Zoning, a policy that guarantees a certain percentage of affordable units in new developments under a rezoning. 2. Establish an anti-harassment area, which requires the City to look into whether harassment occurred when it receives demolition requests and penalizes landlords who harass tenants. To sign on to the petition, visit http://petitions.moveon.org/sign/guarantee-affordable. Signatories should be Crown Heights residents, but they don't need to live in the area of the rezoning. Please take a minute to sign it right now and post it to your Facebook! Meet at Franklin Ave and Eastern Parkway on the pedestrian mall on the northeast corner (nearest the new construction). Please email (elana.bulman@gmail.com) to sign up. 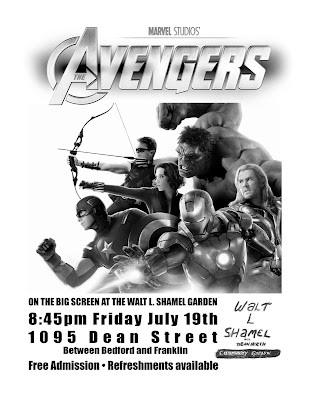 - On Friday, the Walt L. Shamel Garden hosts their final movie night of the summer, starting at 8:30pm. Don't miss their Farmers' Market on Saturday from 8am-3pm, too (now accepting EBT). Celebrate summer, art and good times at LaunchPad's Haunted Murder Mystery Beach Party; An interactive evening where the audience will work together to solve a murder mystery while experiencing awesome art and performances...or just hang out, drink, dance and party amidst the artistic chaos. It's up to you! One year ago legendary boogie-boarder, Chip Rigby, died in a freak accident at the national boogie-boarding championship (hosted by LaunchPad, of course). Some say that ever since that day his ghost has been haunting LaunchPad trying to solve the mystery of his death, which prevented him taking the championship title in 2012. On July 26th, LaunchPad hosts the 2013 boogie-boarding championship featuring many of the same competitors, who are all suspects in Chip's eyes. Strange vibes are afoot, dudes and dudettes. Beach attire strongly encouraged. All the proceeds go to benefit LaunchPad. Pulsewave started in March 2006 as a way for chip music composers from all over the world to showcase their live music, paired with live visuals, on a monthly basis. Chip music is a kind of music made from archaic hardware, including Nintendo Game Boys, Nintendo Entertainment Systems and Commodore 64s. Battle Lava creates music that inspires you to dance, contemplate, and sometimes both. Jérôme LeBel, AKA Pocaille, is a Montréal multimedia artist. Recently, he has been focusing on music production. His first album, "Divide et Impera", is buzzing with retro-fueled dancefloor-oriented house grooves and is injected with old gaming console synths. Co-Foundator of Montréal's Toy Company events and sole chiptune DJ on FM, XC3N has been very active on the chip music scene. From lowtempo dubby vibes layered with hip hop references to high energy drum and bass rhythms, he keeps a steady flow of beats headed your way with his own unique live setup. After playing in Montreal, Quebec, New York City, Philadelphia and Boston, XC3N is happy to celebrate 5 years on the cheapt00n circuit with a comeback to Pulsewave: the very event which inspired him to stir up the scene in MTL. Formerly known as Invaderbacca, diydestruction is a new take on old hardware. Using 2 Nintendos, custom Android software, PD programming and an Altoids tin to mix, he creates a visual environment that goes beyond clips from old horror movies and 1UP mushrooms. The Campania Region in Italy is known for its beautiful water buffalo milk pasta filata cheese: mozzarella. Although the water buffalo is a rare entity in the U.S., we can make the most of this traditional recipe by using the best breed of local cow milk. How do we replicate the richness of classic water buffalo milk in our cow milk mozzarella? Our class will explore cheese making by producing a large batch of the cheese to be eaten fresh. Expect drink, cheese, spring produce, stories, and recipes from an urban cheese maker. - Finally, the Brooklyn Waldorf School (nearby in Bed-Stuy) has one more week of camp left, and they're still accepting campers. Come to the market and welcome back RH Farms and Jamerican Farms and all vendors at Hamilton Metz Park. Join the Crown Heights Community Marching Band! Check out this beautiful produce! TODAY! Free smoothies and drum lessons! come and be a part of our community marching band. 3 pm: FREE SMOOTHIES and nutrition tips from our students at SUNY Downstate Hospital! 4:30 pm: Join a new Crown Heights Community Marching Band! Check out the drum line. Ages 11 and up. Free percussion lessons today with Medger Evers Preparatory School Band Director - Mr. Joseph and band members. Don't forget healthy treats at our Hip2B Healthy Market. Snow Ices, fresh icy orange/lemonade, anyone? Flowers? Come to the Hip2B Healthy Market tent! Check out PS 221 Hip2B Healthy Market Ambassadors on Heritage Radio! All vendors welcome. Can't spend the day? Drop off product and our Hip2B Healthy student ambassadors will promote you! Or set up a tent with us. Thank you, Brooklyn Children's Museum, Friends of Brower Park, Community Board 8, 77th Precinct, NYC Parks and all the Brower Park neighbors for welcoming us to Brower Park on Fridays. We open Friday! FYI - We have a glitch at Brower Park! despite obstacles we must overcome, including that our farmers can't park at Brower Park. Thank you, Councilman Al Vann, for reaching out to NYC Parks. Thanks, NYC Parks, for making an exception and allowing farmers to plug into the park house for electricity. WE ARE SEEKING DONATIONS OF RUBBER MATS for Fridays to cover cords so no one trips. We wrote an editorial about our challenges. Like Seeds in the Middle on Facebook to see when it's published! Thank you, NYC employees in ALL agencies who gone way out of their way many times to promote Seeds in the Middle's mission and help us help all New Yorkers! TODAY - Hip2B Healthy kids feature snow ices, fresh orange juice and lemonade! Yum! 50 cents! SUPPORT OUR MARKETS AND KIDS! $20 donation drive to raise money for free soccer, music & Farmers Market activities! See Summer 2013 budget ask to electeds here! Anyone who donates and gets 5 more folks to donate $20 each automatically wins a restaurant gift certificate! Thank you to our chef supporters of TASTES of Brooklyn! We want to raise $20k to promote our markets and kids! That's only 1,000 of you! Come on! Let's give all kids free or very, very, very low-cost summer fun! - The folks at the Walt L. Shamel Garden on Dean Street do great things every summer. 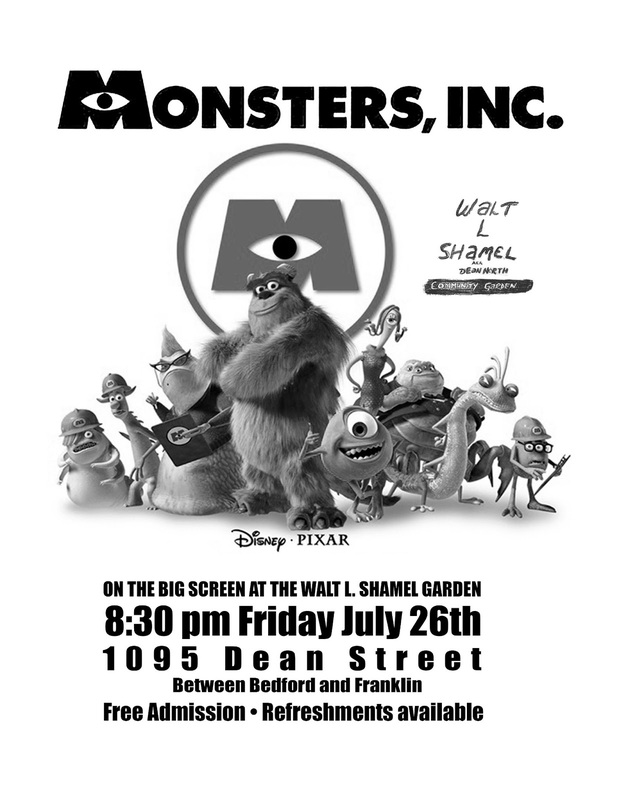 Join them on Friday for a movie night (flier above), and every Saturday from 8am-3pm for their farmers' market. - Secondary Sound hosts their Brooklyn UP series at Franklin Park tonight. Music starts at 9pm. We are finishing up collecting Petition signatures and Trash Assessment data and are preparing to meet with Council Member Tish James' office. Please bring any filled or partially filled paper Petitions (asking for more public trash bins and pickups) to HAD Associates, 737 Franklin Ave, by this Wednesday, July 15. Please circulate the Electronic Petition among your friends and neighbors until the 15th as well. - Five Myles hosts the Haiti Cultural Exchange's summer concert series, Mizik Ayiti, on Saturday. - And, as always, Launchpad has a great slate of events planned, with art and books featuring prominently this week. You are cordially invited to a model drawing session at Launchpad at 8:00pm There will be beverages on hand. The recommended donation shall be $5, but any extra support of the space is appreciated. The session will run until 10 pm with a short break in the middle. Please bring your own drawing materials, including drawing boards if you have them. If people are interested, there can also be an open drawing table for collaborative draw jams and general messing around. Featuring work from Brooklyn and beyond, we invite you to come hang out at our venue, LaunchPad, each month to drink wine, eat cupcakes, catch up with friends, relax, and listen to an eclectic lineup of amazing writers. This month please join us as we raise our fists to this oppressive heat and feral cats. We're really excited to be back again in a couple weeks for what we've been told by at least three Feed The Children representatives is "the most significant night on Michael Bloomberg's calendar." 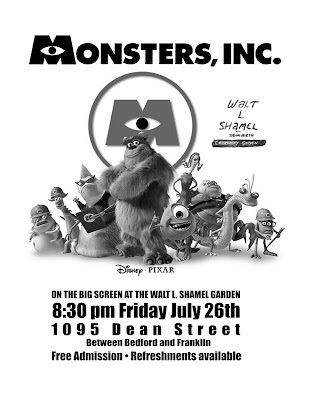 Bring friends, dates, parents, strangers off the street. As usual, there will be free cookies and wine and some sort of strange prize for the person who correctly identifies the actress in this month's picture. 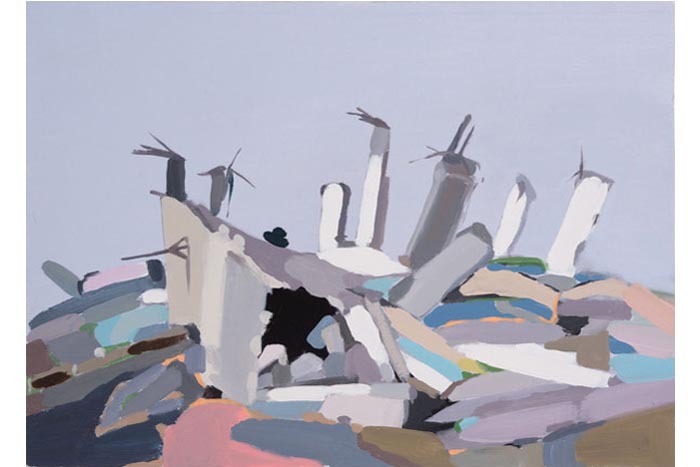 Fragile Territories brings together artwork by three Israeli artists of the same generation who explore their complex relationships to the Israeli-Palestinian conflict. While each artist moved to the United States to pursue her own artistic exploration, it is the home she left behind that beckons her full attention. Individually, the artists wrestle with poetic notions of faith and loss while enacting artistic processes that question the division between personal identity and national responsibility. Together, they represent a growing community of Israeli expats struggling to unpack the meaning and significance of this inheritance. Through diverse materials and processes each artist grapples with the loss of security and rightness within Israel’s national history as it intersects with a thinly veiled private life. Alexandra Ben-Abba gathers images of military destruction and confrontation from social media outlets. Observing the human relationships captured within, her process results in blown glass, installation, video and performance. For Fragile Territories, Ben-Abba presents the performance “New Regulations,” along with a video entitled, “Always On Our Plate.” These pieces pair experiences and images of security checkpoints and obstruction that seem striking and uncomfortable to an outsider. To an insider, they reveal the banality of politics in everyday Israeli life. Noa Charuvi refers to photographs from news sources and processes them through paint on canvas. By eliminating almost all figures in her painterly interpretation, she abstracts and distills images to examine disappearance and displacement in a broader context. With deliberate and flat brushstrokes, she manipulates form and color, breaking down specificity of person, place and thing. In this way, her investigation travels from the personal to the universal. Naomi Safran-Hon takes her own photographs in Wadi Salib, a dilapidated neighborhood in her hometown of Haifa and transforms them into sculptural paintings. She mounts her photographs on canvas and cuts into the images of crumbling structures, removing broken windows and doorways. Layering surface and texture, Safran-Hon rebuilds the fractured constructions with lace and cement, thereby interrupting the silence of her source photographs and giving voice to the untold stories of the now absent inhabitants.